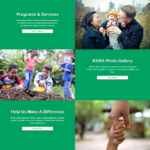 KARA Family Resource Center is a not-for-profit organization based out of Edmonton Alberta who specializing in helping to promote the healthy development of children by empowering families. 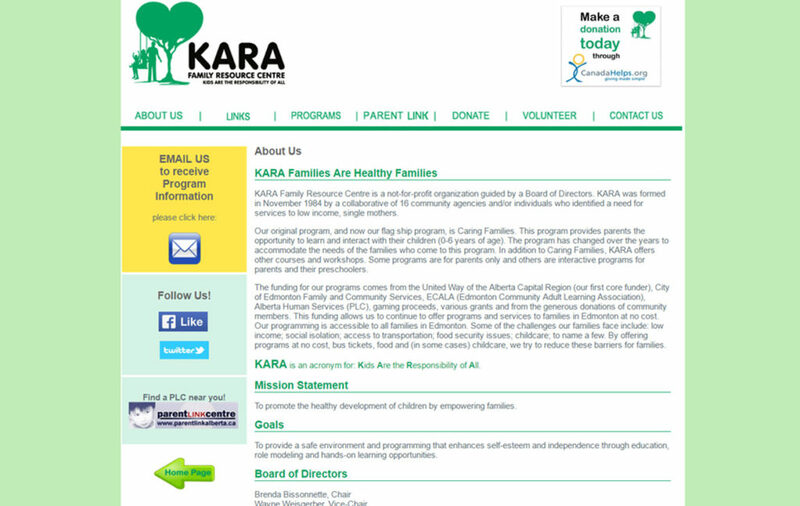 Back in the summer of 2016 while I was in between school semesters, I had the opportunity to complete an internship with KARA where I was tasked to complete a full website redesign, as their previous website was vastly outdated (Built 2006). This gave me an opportunity to test out my development skills and gain experience in working with a real world client. 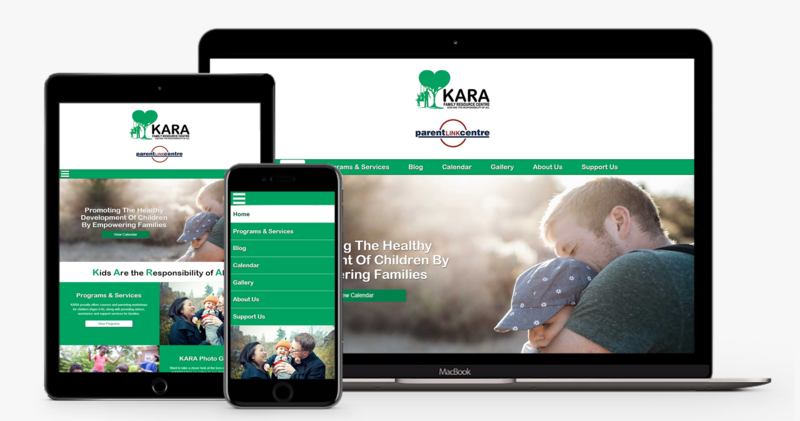 My focus for this project was to provide them will an easy to use, mobile responsive website that would be a one stop hub for information on KARA’s mission, their values and the programs they offer their clients. 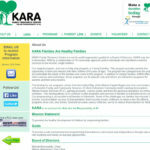 Design website templates and mockups for client approval. Setup and install hosting service and domains. Install WordPress content management system. Design and develop mobile responsive WordPress theme using client branding standards. Setting up and managing Google Analytics, Search Console and Tag Manager. 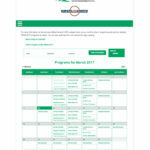 Troubleshooting issues and optimizing various website functions. 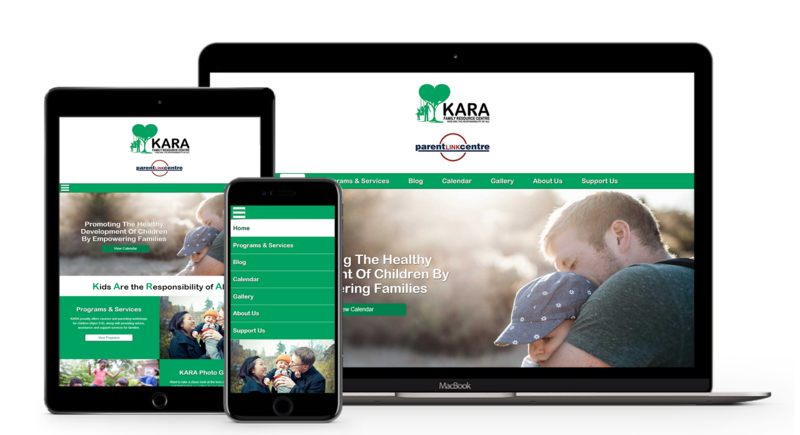 Upon completion of this project I have continued to work with KARA to help optimize and improve the website based on user feedback, and analytic data. This has allowed me to look at potential problems and implement new tools to help improve the user experience for staff and their clients. © 2018 Michael A Judd Designs. All rights reserved. If you would like more information on the work I do or you'd like to work together on a project, fill out the contact form below. I look forward to hearing from you! Tell me a bit about yourself. What's your business about and what it is you're looking for. The more you tell me about you and your project, the easier it'll be for me to provide you with some information on pricing, services and process. 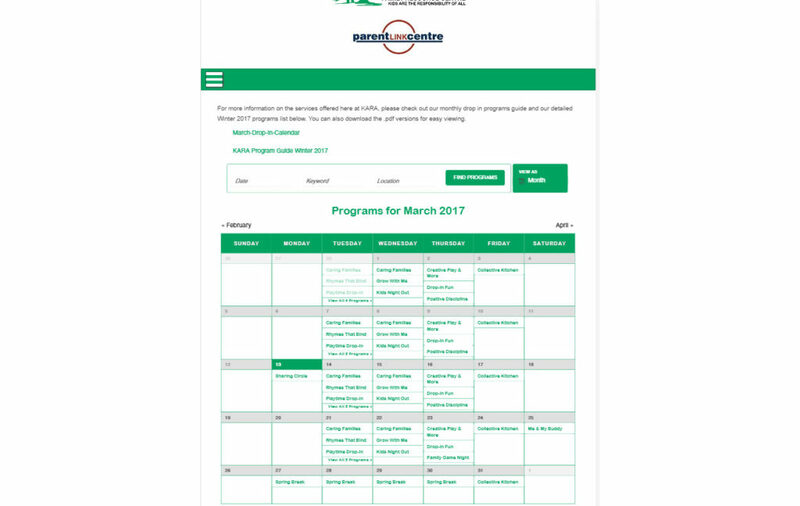 If you know your budget already fill this out. If not we can always discuss this later.